As I’m sure we all know, the rear Crossmember for all Defenders is a particular sore spot with rust problems. This does however mean that we get to fit and paint new ones, which really gives a new splash of life onto an often weathered car. In this case this Defender is getting an entire paint job along with its crossmember, so we’re able to put off painting the rear face until we’re ready. 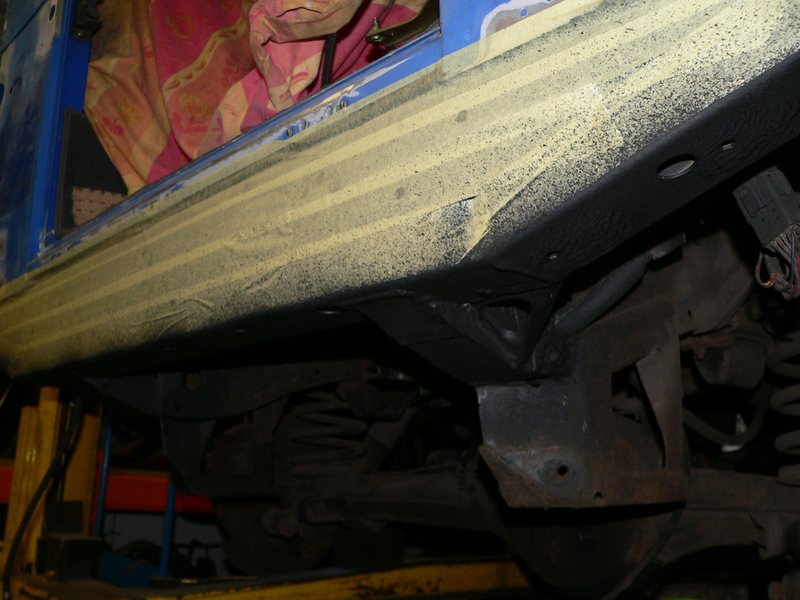 We’ve treated the underneath of the crossmember with a stone chip protection spray which will deter any rust spots, especially around the recent welds.